From Valence, the local military administration, Verbindungsstab 998, advised “Schlachtgeschwader Bongarth” that the occupants of a crashed aircraft had been found and that it was necessary to bury them immediately. 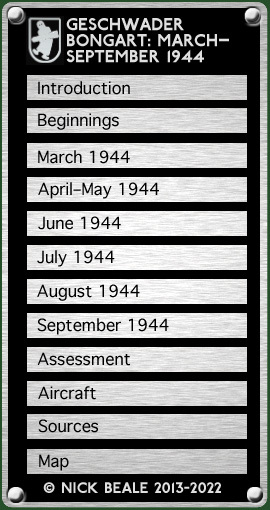 This almost certainly refers to one of the Ju 88s lost on 28 June (see above). Just after midday, the IV. Gruppe was told be at a ½ hour’s readiness from 04.00 next day but at 15.00 hrs. the Nineteenth Army told the Geschwader that some unspecified operation had been called off. No sorties were flown but once again efforts were being made to gather in scattered aircraft. The Geschwaderstab called for a W. 34 to take a spare pilot and wireless operator to fetch a Do 17 from Mondesir, stopping off at Bourges at 03.30 hrs. to pick up the Geschwader’s Maj. Hippacher. NOTE: This was probably Karl Hippacher who, as a Hauptmann, had been Führer of a Luftdienstkommando in December 1942. From Châteauroux, the IV. Gruppe asked the Heinkel Works at Blagnac (near Toulouse) when He 111 CK+PV would be returning to the unit. This Heinkel, W.Nr. 5113, had been under repair since 24 June at least, after damage to an engine and its undercarriage. The Gruppe also enquired of Couvron’s Air Movement Control when an He 111 E, W.Nr. 1349, would be ready; and sought information from AMC Biarritz about the expected availability of W. 34 Hi, W.Nr. 2822. The 11. Staffel had three Ju 88 serviceable for bombing and strafing, an He 111 and a Do 17 for strafing only plus a Bf 108. The 12. Staffel had 3 Bf 109, one or more He 46, a W. 34, a Go 145 and a Bf 108. All the 2./ZG1 aircraft were Ju 88s and the three serviceable ones were cleared both for bombing and guns. NOTE: Signals traffic on 2 July referred to a Bf 108 at Châteauroux, W.Nr. 844. 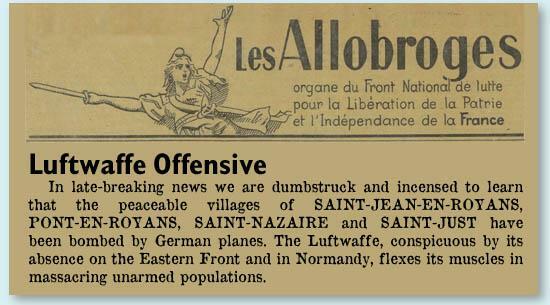 Avord’s base command advised Luftgau West France at 16.00 hrs. that III./SG 4 had transferred that day to Toul — this probably referred to the 9. 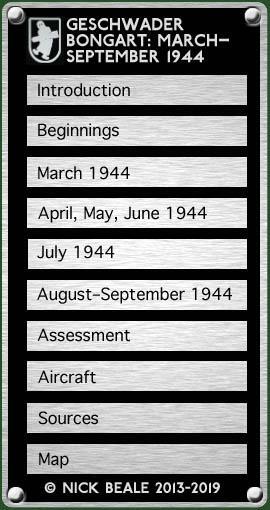 Staffel whose strength that evening was reported as 12 (9) aircraft and 12 (11) crews. An hour later, the Gruppenstab signalled Luftflotte 3’s Operations Officer that a total of 21 Fw 190s had taken off from Clermont-Ferrand and Avord. It appears that “key personnel” were to go by rail to Lyon where 10 Ju 52 awaited them. During the afternoon the Geschwader asked what bombs and how many of them would be brought from Bourges to Châteauroux. In response to a communication of 26 June, a workshop told the 7. Staffel (at Bourges) that an He 46 E (markings DA+YP) was ready to fly. The Geschwader’s Hptm. Müller notified Seventh Army that there was agreement to three photographic staff being detached to Bourges for three weeks. NOTE: This was probably Hptm. Karl-Heinz Müller of the Geschwaderstab (see 13 August, below). Next day the Operations Officer ordered one of the Gruppen to report as soon as possible on its strength and the types and provenance of its aircraft. The III./SG 4 had now reached Lüneburg-West, en route to Luftflotte 1 in the east.